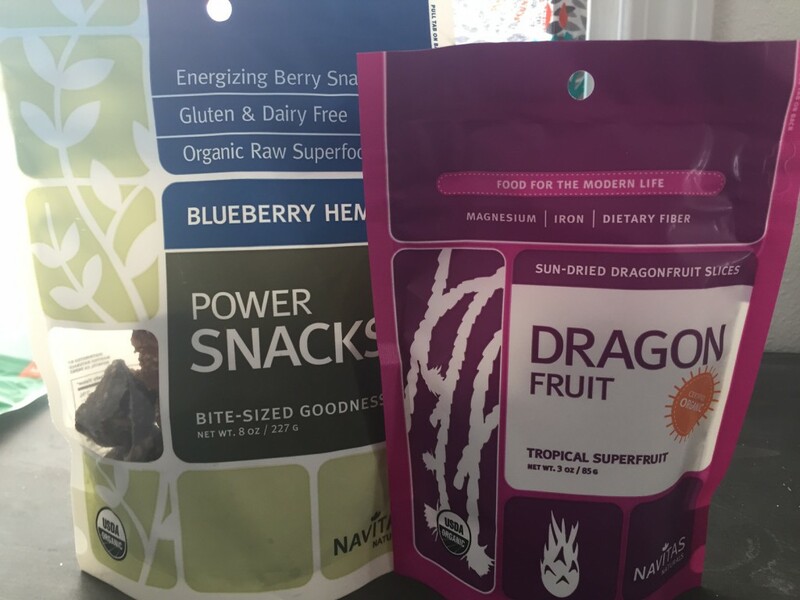 When you’re busy, it’s easy to grab a handful of whatever is available, but now Navitas Naturals, the superfood company, offers an alternative to unhealthy snacks with its new line of superfood snacks. What’s great about these delicious small bites is that all of them are non-GMO, organic, and most of them are raw or mostly raw. I got to sample a few of the treats, which were perfect for mid-day slumps when I was hungry during the work day. My absolute favorite was the Superfood+ Cacao Hemp Almonds. Lightly sweetened with coconut palm sugar and dusted with cacao powder, these protein-packed (5 grams per serving) almonds were a sweet-salty delight with a hint of sea salt. Plus, the addition of hemp seeds adds omega-3s, essential amino acids, and fiber. But these powerhouse whole-foods bites tasted like I was eating dessert in the middle of the day. If someone asks you where you get your protein, these Cacao Hemp Almonds are your answer. 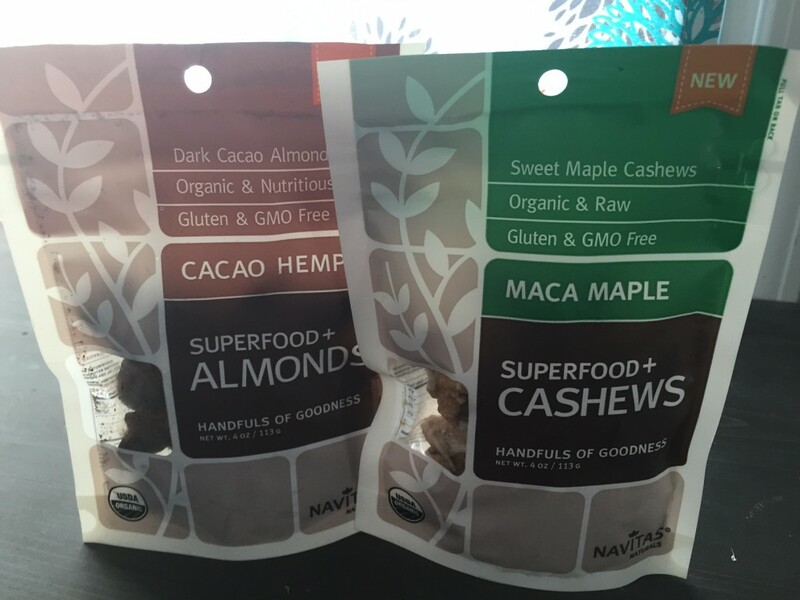 The Superfood+ Maca Maple Cashews were another great crave-worthy snack. Maca powder, known for its ability to combat fatigue, was a nice savory touch to the cashews (and a great way to stay alert at 3pm!). With 5 grams of protein and 220mg of potassium in each serving, these butterscotch-like nuts are full of beneficial fats. There are more varieties of the cashews and almonds, including turmeric almonds and coconut pepitas. The fruit-based bites combine antioxidant fruits like blueberries, goji berries, and lemons with other wholesome ingredients for the Power Snacks line. I sampled the Blueberry Hemp bites and they were like mini protein bars and very satisfying thanks to the addition of dates, cashews, sunflower seeds, and naturally sweet lucuma powder. Packed with 3 grams of protein, omega fatty acids, and 45 percent of your daily vitamin C, these Power Snacks are ideal for an on-the-go meal when you’re too busy to sit down for breakfast. The last sample I tried were the Dragonfruit Slices. I’ve never eaten this tropical fruit before so I wasn’t sure what to expect. Harvested from night-blooming cactus plants, dragonfruit is loaded with good-for-you nutrients like vitamin C, 10 percent of your daily iron, and B vitamins. The low calorie (110 calories per serving) dried slices have a tangy sweet taste and the seeds on the outside reminded me of sesame seed candies (which I love). You can find the snacks at Whole Foods and your local health food stores. Check out the store locator on the Navitas Naturals website to find the closest store near you. Here’s to happy, healthy snacking! Jennifer Chen is a freelance writer and editor who loves cacao-covered anything. She lives in Los Angeles with her TV writer husband, adorable pug, and huggable yellow Lab.